On 24th of July 2009, within the Giurgiulesti International Free Port (GIFP) was opened the Grain Transshipment Terminal, realized by SC “Trans Cargo Terminal” SRL, GIFP’s major resident, in cooperation with ICS “Danube Logistics” SRL, the general investor in GIFP. At the event were present the acting President of the R.Moldova, Mr.Vladimir Voronin, the deputy Prime-Minister and the Minister of Economy, Mr.Igor Dodon, the Ambassador of USA, Mr. Asif Chaudhry, representatives of Trans Oil and Danube Logistics, and other guests representing state institution and local and international business environment. Grain Transshipment Terminal is the second major project realized on the territory of GIFP, the first being the oil terminal. The grain terminal will enable Moldovan producers of grain to directly export their production to the world market. During the official opening the parties congratulated each other reciprocally with the successful realization of the project. Mr.Thomas Moser, the general director of our company, mentioned the importance of the grain terminal for Moldova and wished a productive work in the future to all the employees of Trans Cargo Terminal. 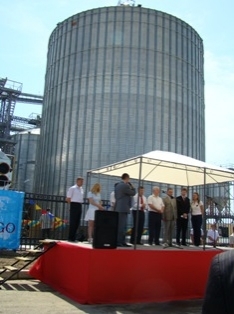 After cutting the ribbon, Mr.Vaja Jhashi, the General Director of Trans Cargo Terminal, pressed the launch button giving in such a way in exploitation the entire system of the Grain Terminal. Guests were surprised by the excellent work of the terminal, which may receive grain from both – rail and road. Total investment in the project amounts to 17 million US Dollars. 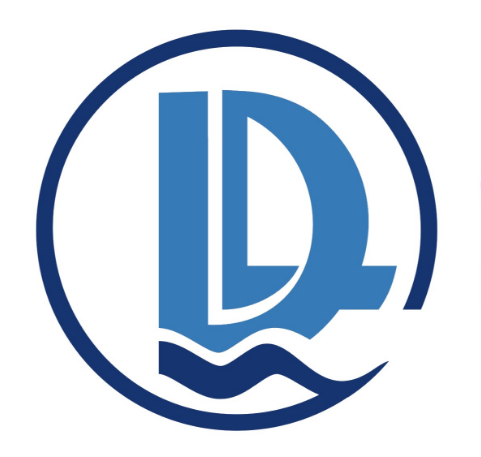 Whereas Trans Cargo Terminal invested in grain storage, grain loading facilities and laboratory, Danube Logistics constructed berth for maritime/river vessels, rail and road connections, utilities and a major 110 kv electricity substation in support of the project. The capacity of the terminal allows it to receive up to 3 000 metric tons per day of grain commodity by means of railway and road transportation, but also to load maritime vessels with a capacity of up to 7 000 metric tons, with a loading speed of 300 metric tons per hour. The modern laboratory of the terminal is supplied with equipment by leading Swiss companies, enabling it to render precise assessment of the quality parameters of the stored commodity. Overall, in the framework of the project were created around 50 working places. The project was realized by a group of Moldovan and international contractors. The realization of this important project represents another step of Moldova towards its progressive development and lets hope that GIFP will offer even more opportunities for business development and economics in general.